Hi friends...Rain, rain, rain...which means, card making time for me. YAY!!! Sliding in under the wire of getting this into the challenge at CASology...whew! 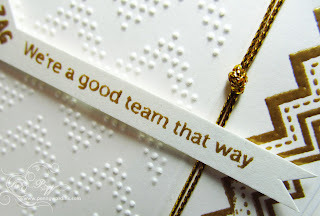 Make a card with Gold on it, but keep is simple....this is challenging for me people. Chevrons were embossed on left side of card, then chevron stamp was embossed with gold on the right side. Sentiment stamp was cut apart then stamped and embossed. Just had to add a little gold cord. 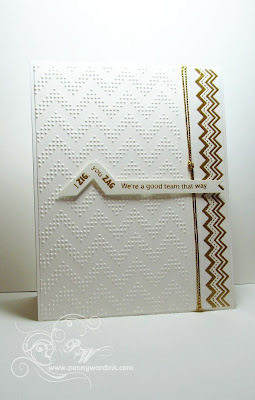 I LOVE how you've carried your zig zag theme through the whole card and yet it's still lovely and clean! Thanks so much for playing along with us at CASology this week! 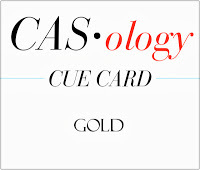 Thanks for joining in the Gold Glam Fun at CASology this week! 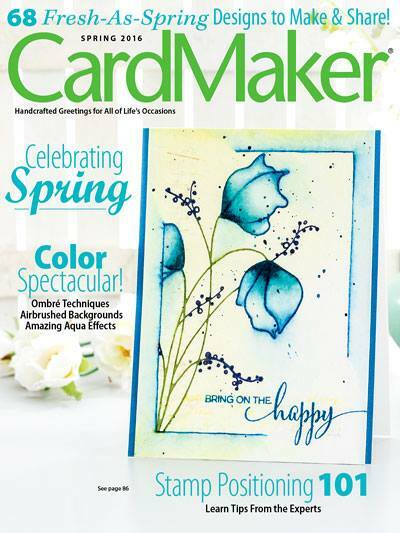 Unfortunately, I missed the deadline, but wow--your card is fabulous, Penny! Congratulations on your HM shout out at CASology! Love all the zigzag goodness! Very, very clever and unique, Penny! So deserving of the HM honor from CASology! !